Issue 8 for Book Club was sent out last week. Orders for this issue are due back Wednesday 28th November, 2018 at 12.00pm. This is the final book club for the year. Please remember that 20% of your order goes directly to the College to purchase books to be utilised in classrooms and the library. 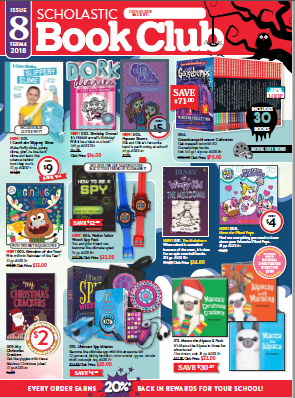 There are some wonderful new books and many specials in this issue. If for any reason you would like your order to remain discrete, please include a note with your order and we will contact you upon arrival. Orders may be placed and paid for online with your credit card; or by cash or cheque(payable to the College) at the P-4 Campus office.